Seneca » March 22nd, 2017, 8:54 am wrote: What is a gimp? It doesn't take much working out given the topic and this poster's position. 1) A versatile slang term generally meant to insult an individual for perceived lack of competence, style, panache, or the ability to perform the given task at hand. Likewise, the referenced individual's actions may detrimentally affect the overall spirit of a group (whether temporarily or permanently). It can be used as a noun, verb, or adjective. So; your average politician or media type/news reporter or civil servant. Can be extended to include "royal personages", "NASA-spokespersons" etc etc. I had a quick look on M.M link page, but was unable to find the link, I know he recently did a piece on David Icke and A.J was mentioned in relation to controlled opposition, maybe he has removed the link or I missed it in my haste? "Ask yourself this: why would Wogan have him on, and why would Wogan allow Icke to have the upper hand? These shows are completely staged, and Wogan and his people were in control. They could have edited the show any way they liked. So why run promotion for Icke? And, of course, they did a similar thing with Alex Jones on Piers Morgan a few years later." Note: I've just bumped into this DraftScience Youtube channel - so I know nothing about it. In time, I will check out this guy's theories though. I'm only posting this video for its first 5 minutes - where this honest / legit-sounding fellow describes (in colorful language - *PARENTAL ADVISORY*!) the sort of dreadfully lame & childish personality attacks our Mathis character engages in. I'll soon be closing this thread - for good reasons, as it is most likely just a waste of time (looks like our dear ol' Brianv had it right all along...). See, out of sheer curiosity perhaps (I must be a bit naive, dammit! ), I mailed to the Miles Mathis e-mail address a courtesy copy of my TYCHOS book - a couple of months ago. Still, to this day, no reply. Was I expecting a reply? Well, at least something like: "Hey, thanks Simon - but your theory is way over my head" - or "thanks Simon, but I've no time to read your book - am just too busy debunking Einstein right now" - or perhaps just something like "please do not send me unsolicited books, thank you." That is, if Miles were a nice, mature and educated gentleman - just like myself... After all, don't we both deal with alternative science and ideas about this "upside-down world" that we all live in? Instead, total silence /*crickets*. Miles Mathis simply has no time for me - yet he has time to "attack" alternative researchers such as the above fellow. Well, not exactly "total": as it is, that "Mark Tokarski" character actually wrote a few weeks ago (over at Fakeologist) that Mathis had told him, in private, that yes indeed - he had received my TYCHOS PDF book alright... but had just thrown it in the trash without looking at it. Fantastic, no? What an open-minded "renaissance scientist" we have here! I have no wish to feed fuel to the fire around the extremely hyped Miles Mathis character - other than saying: there's no fire. It's just dust. simonshack » June 6th, 2018, 11:43 am wrote: I mailed to the Miles Mathis e-mail address a courtesy copy of my TYCHOS book - a couple of months ago. Still, to this day, no reply. Are you using Miles's current email address? If you used the one from your previous correspondence from 2016 the letter probably didn’t get to him, as he changed it in October 2017 “to deal with a greater volume of spamming, trolls, and cyber attacks,” saying “Emails to my old addresses may not get read.” I would check his contact page to make sure you have his current address. simonshack » June 6th, 2018, 11:43 am wrote: that "Mark Tokarski" character actually wrote a few weeks ago (over at Fakeologist) that Mathis had told him, in private, that yes indeed - he had received my TYCHOS PDF book alright... but had just thrown it in the trash without looking at it. In light of Tokarski's recent campaign to discredit Miles Mathis on his “Piece of Mindful” site, where Miles is called a “committee” and his admirers a “cult” I would not trust anything Tokarski says about him. Dear Simon, maybe it a better idea to leave it open for the simple reason having it open actually may bring traffic to this site. Whilst not familar with the site used to measure his stats I am familar with Alexa and I am aware it is owned by Amazon so easily open to manipilation, nonetheless I thought it would be interesting to carry out a comparison of the two sites (CF/ MM) and if indeed the above stats have any reasonble comparison. MM states, from the above post I tried to look at stats many years ago at Alexa, but they wanted money to see them so I passed. I didn't know about these free stats. How engaged are visitors to milesmathis.com? What sites link to milesmathis.com? What sites are related to milesmathis.com? How engaged are visitors to cluesforum.info? What sites link to cluesforum.info? "a rising bounce rate is a sure sign that your homepage is boring or off-putting"
Which, at first glance, informs us, if the figures are to be believed and variation is taken into account, that on average people are more inclined to stay and read researched information put forward on CluesForum than on the Miles Mathis website and CF has higher global and United States ranking than the MM website. Are the figures to be believed? Obviously we cannot be 100% sure, but I would imagine CF content has every much reason as that of MM content to be suppressed or rigged and as such the figures are as equally believable as the stats he posts on his website. Which leads us to conclude that he cannot dismiss this site as irreverent as he does others and his failing to address your work on The Tychos model, whether positive or negative, will lead your more prominent website audience veering to the idea that he (committee?) is controlled opposition working out of Langley, Virginia. I was happy when this topic was changed (upon my request) to “Deconstructing Miles Mathis.” But, I was elated when the topic was locked. With all due respect and deference, I urge you to trust your instincts and close this topic yet again. Brianv was consistently (and appropriately) harsh towards MM, and my objections to it were growing stronger with each passing day. The MM character is clearly an OP, and the very topic opens the door to all sorts of nefarious forum disrupters talking about rounding squares and other unhelpful (at best) distractions. I recall it hogging up several months such that a number of (now) former members were constantly keeping it at the top of the Active Topics. Note: I recognize the point that Kickstones is making. But the kind of traffic that is drawn in by the MM stuff is not what this forum needs IMHO. Last edited by SacredCowSlayer on Thu Jun 07, 2018 2:30 pm, edited 1 time in total. Case Closed on the Miles Mathis "Genius" Clown. Miles Mathis does NOT admit that the 9/11 "footage" was faked. Miles Mathis does NOT admit that the 9/11 "victims" were faked. Over 16 years of Miles Mathis pretending 9/11 "footage" was real. Over 16 years of Miles Mathis pretending 9/11 "victims" were real. Miles Mathis has been gatekeeping for over 16 years now about 9/11. Miles Mathis NEVER admits the 9/11 "footage and victims" were faked. Gopi having met someone is moot. The Miles Mathis "Genius" failed 9/11. Only a blind idiot still doesn't realize 9/11 "footage and victims" were faked. And only a cowardly liar doesn't admit 9/11 "footage and victims" were faked. 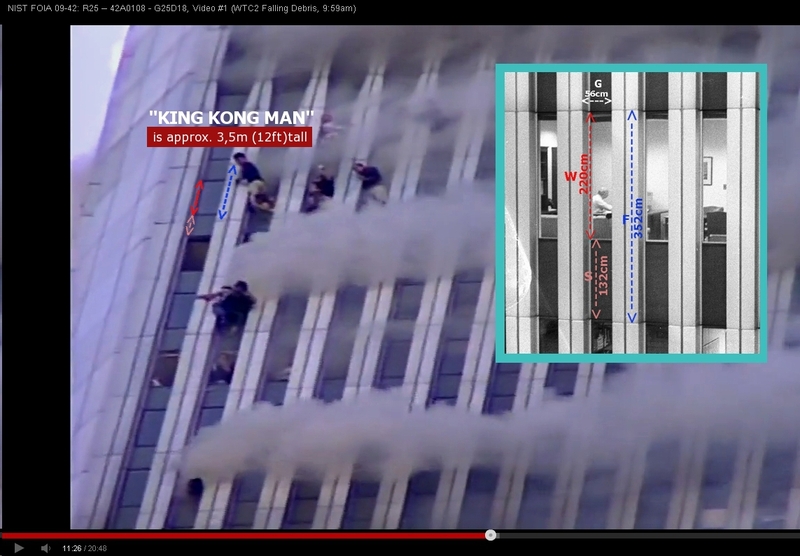 9/11 "footage and victims" were faked. Miles Mathis "Genius" Clown: Case Closed. I will again most respectfully and humbly request that this topic be changed to “Deconstructing Miles Mathis,” especially in light of the strong circumstantial evidence that MM is simply an “Intelligence” Operation of some kind. It’s a nasty high level disinformation outlet that gives away some low hanging fruit while simultaneously obscuring legitimate research and running cover for the bigger lies like 9/11. With all sincerity and being mindful of your forum, please shut this down. I can hear the trolls getting ready to stampede over this topic. It’s quite foreseeable. I'll take your advice - which sounds wise & reasonable to me. I will now lock this thread - pending any future (most unlikely) reasons for re-opening it again. However, I'll leave its title as it is - since we have in fact been discussing the MM entity - quite objectively imho, ever since December 2014 - and ultimately (after due and cautious pondering) found it to be rotten. To rename this thread "Deconstructing MM" would only raise unnecessary concerns about our forum's compliance to the good ol' convention known as "innocent until proven guilty". After all, we didn't set out - from the word go - to deconstruct / destroy the MM entity : it gradually collapsed under our lengthy, collective assessments and considerations - and under the steadily-growing load of stenchy bs emanating from MM (and MM's bizarre 'fan base'). Ever wondered what "Mathis" means? Meaning of Mathis: "gift of God"
Just some last few thoughts about MM's bizarre "fan base" (as mentioned in my above post). There's this fairly new blog named "Cuttingthroughtthefog(dot)com" run by a guy named Josh who, apparently, is none other than our former Cluesforum member "daddie_o". "Daddie_o's" real name appears to be Joshua Guetzkow - and he's now heavily promoting the MM character and his supposed, worldwide fan base. "I have christened his theoretical perspective, ‘Mathisian physics,’ because it is every bit as revolutionary and comprehensive as Newtonian or Einsteinian physics. Here is his website, where you can find all of his papers, which are short and written in an accessible writing style: http://milesmathis.com/"
"I don’t know if Shack (Hytten) started out legit and was later co-opted or if he always started out with September Clues as a way to prove his street cred before misdirecting, but I’m quite certain now that he’s misdirecting people into what I’ve called Operation Fantasy Land." In other words - according to Josh - I would be some creepy agent trying to misdirect people into Fantasy Land. "What Do Thoughtful People Think about Miles Mathis?" "The Worldwide Reach and Impact of Miles Mathis"
"In Defense of Miles Mathis"
As the story goes, Miles Mathis invited all of his fans to "a party". This party consisted in asking all of MM's fans to post on Josh's blog ... "in defense of Miles Mathis". Well, well, well - what a party it was: more than 2700 replies so far - in only ONE MONTH! This compares well with, for instance, the most 'popular' Cluesforum thread of all times ( OSLO and UTØYA, 7/22 2011) which, after SEVEN YEARS, has a total post count of 3088. Yet, the "MM party thread" at Josh's new blog beats (by a mile) ALL of Cluesforum's other threads - in terms of participation / post counts! You've gotta give it to him: Miles Mathis is just such a popular figure - and we just cannot dream of competing with his worldwide appeal !